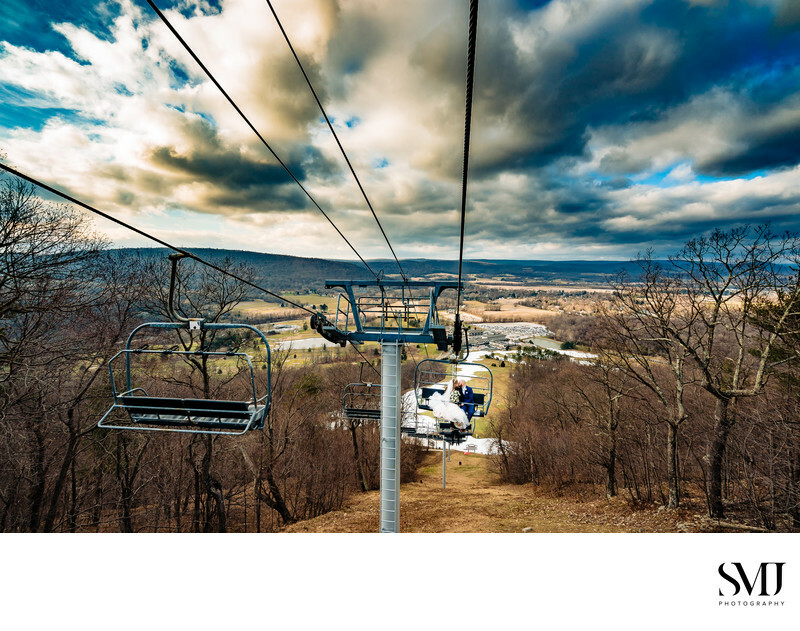 Liberty Mountain Resort is located in Fairfield, Pennsylvania, just outside of Gettysburg, the historic town that played an important role in the Civil War. Liberty Mountain Resort is a popular destination spot for skiing, snowboarding, snowtubing, and other outdoor activities. There are multiple lodges that contain everything from hotel rooms to a full salon and spa and more. Liberty Mountain Resort also has multiple spaces dedicated to weddings with a stunning ballroom that is sure to impress your guests. I've photographed a couple weddings at Liberty Mountain Resort and always enjoy my time there. 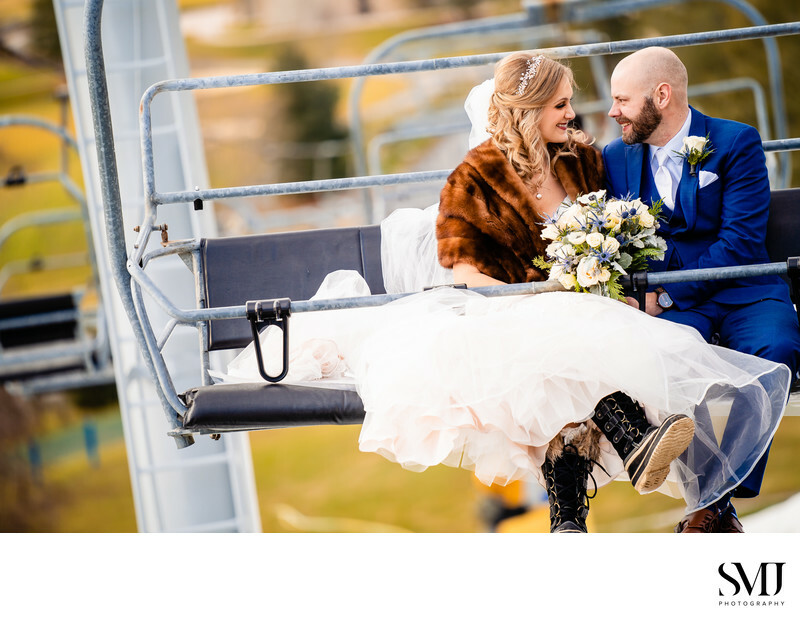 The staff are extremely accommodating and even let my team and I ride on the ski lift so we could photograph our bride and groom going up and down the sky lift on their wedding day. Check out the pictures below to see for yourself! Gettysburg is located in the south central part of Pennsylvania and is best known for its important role in the Civil War. The battlefields and historic town provide a great backdrop for your wedding photos if you love history and scenic views. I frequently photography weddings in Gettysburg and look forward to hopefully capturing your wedding memories there as well! Location: 78 Country Club Trail, Carroll Valley, PA 17320.